Picture being able to tackle Louisiana’s roads in a modern midsize sedan that has all of the latest technology features and can provide you with a pleasant ride. At All Star CDJR in Denham Springs, LA, we’re thrilled to carry a vast array of Chryslers, Dodges, Jeeps and Rams (CDJR) in stock including a large assortment of Pre-Owned Chrysler 200. As one of Louisiana’s top-rated CDJR dealerships, we have served Baton Rouge, Gonzales, Houma, Walker, Prairieville and Morgan City, LA for a number of years with excellent prices on all vehicles. Stop by All Star CDJR at 2590 Range Park Drive to explore a used 200 today. As a Certified Pre-Owned Chrysler, every 200 is capable of providing you with you peace of mind. Each Certified Pre-Owned 200 has less than 75,000 miles on it and is less than five model years old. Every vehicle goes through a 125+ point inspection by our set of factory-trained professionals and gets authentic OEM parts when needed. To ensure that you’re getting a great 200, every vehicle also comes with a clean title and a CARFAX Vehicle History Report. Unlike other pre-owned vehicles on the road, every Certified Pre-Owned Chrysler is backed by a lengthy warranty. Each 200 has a 3-month/3,000-mile Maximum Care Warranty and a 7-yr./100,000-mile powertrain warranty that covers over 5,000 components on the vehicle. If you’d like to get even more coverage for your 200, drivers can explore three different Mopar® Vehicle Protection Plans that prolong the sedan’s warranty. As one of the state’s premier CDJR dealerships, we’re recognized for getting drivers into a pre-owned 200 today. At our dealership, we have a marvelous finance team that will work tirelessly to get you an astounding rate on a Chrysler. Our finance team will work with your credit score to secure an outstanding loan that allows you to enjoy the vehicle. If you’re concerned about your credit score, then visit our website before stopping by our dealership. Our website has a payment calculator and finance application for motorists to complete to see what kind of loan you’ll get at our dealership. With these features and our experienced staff, we’ll get you into a used 200 in no time. 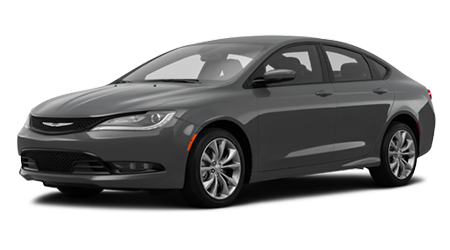 If you’ve been searching for a midsize sedan that you can enjoy driving on a routine basis, then check out a Used Chrysler 200. A pre-owned 200 has the same comfortable ride, punchy motor and capability as a new model, but is at a more affordable price. Visit All Star Chrysler Dodge Jeep Ram in Denham Springs, LA at 2590 Range Park Drive to discover a used 200 today.